Sturbridge Village - Corner Lot, Low Maintenance Backyard, Welcome Home! MLS#2090002. Realty ONE Group, Inc.
Live the Dream...Make it Yours. MLS#2088858. Windermere Excellence. Kobie Creek - Greenhouse in the back yard and pool changing room/shower. MLS#2089932. iProperties International. Providence - Beautifully landscaped backyard w/ ex lrg covered patio outside w/ Rm for a dining rm table & comfortable sitting area MLS#2086738. Realty ONE Group, Inc.
Paradise Springs South - The entire 2nd floor is the spacious master bedroom suite with a fireplace & loft. 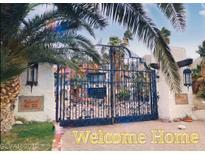 Welcome Home ... MLS#2089990. Go Global Realty. 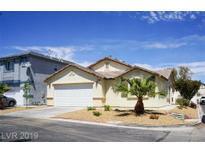 Tropicana Heights - This home has pride of ownership and is the perfect next home for you! MLS#2089136. Simply Vegas. Located on a cul de sac. MLS#2089778. NewMarket Realty Group LLC. Sunrise Highlands - French Door Fridge & Steam Washer/Dryer Incl. w/April Sale. Awesome Home MLS#2090003. Urban Nest Realty. Canyon Creek - Ask about seller credit toward closing costs! MLS#2089242. Realty ONE Group, Inc. Horizon Vistas - Walk-in pantry in kitchen. DON'T MISS THIS OPPORTUNITY! MLS#2089811. ERA Brokers Consolidated. Boulder Ranch - This Home Located In A Gated Community , Close To Schools Parks And Sam Boyd Stadium, Lots Of Shopping Near By Including Water Park. MLS#2089957. Genesis Realty Group. Chaco Canyon Mountains Edge - 2 car garage, backyard patio area and all the appliances are included. MLS#2089997. Realty 360. 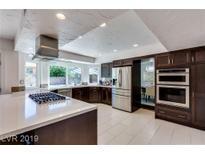 Hollywood Highlands - All appliances included. 2 car garage, RV parking. MLS#2089920. 24 Karat Realty. Clifton Heights - NO HOA, Beautiful Single Story Home located in the heart of the City, open living room, new bathrooms cabinetes and counters, cover patio, great community all single stories homes , parks and recreations center at walking distances , mayor highways in the vicinity , shopping centers at walking distance. MLS#2089928. King Realty Group. Charleston Heights - Appliances are included with the sale, this one won't last! MLS#2089929. Signature Real Estate Group. Investor Special, great property for an investor project, lots of potential, good property to look into. MLS#2089919. United Realty Group. Enjoy the large bonus room &loft. MLS#2089430. Urban Nest Realty. Bright, open floor plan; Upgraded GE Profile, stainless steel appliances, built in oven and cook top; Open kitchen with huge island; Master retreat/office; One full bed & bath downstairs; backyard landscaping includes grass, shrubs, trees, one apricot tree; No homes directly behind; Partial strip view from master bedroom; Cul-de-sac in highly sought after Rivendell! MLS#2089903. Better Life Realty. 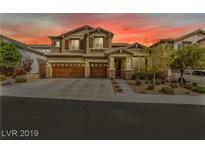 BUILT IN 2015 ~ Gated Community In South Summerlin ~ Very Motivated Seller ~ 2 Story Open ~ Concept Home That's Move~In Ready ~ 4 Full Bedrooms With Guest Suite On 1st Floor ~ 2.5 Bathrooms ~ 2 Car Garage ~ 2518sqft Feet On A 6098sqft Lot Sits At The End Of A Cul~De~Sac ~ Stone Fireplace With Wooden Mantel ~ In Living Room ~ Kitchen Features A Large Island & Stainless Steel Appliances ~ Home Warranty ~ SCHEDULE AN APPOINTMENT TODAY!! ! MLS#2089830. Century 21 Gavish Real Estate. Need Your Decoration To Make It Your Way. 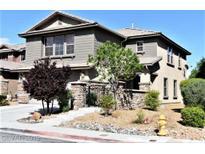 Dont Missed This One.... MLS#2088927. BHHS Nevada Properties.